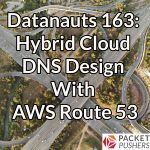 You are here: Home / Search for "datanauts aws"
Why is hybrid cloud DNS with AWS hard? What has AWS recently done to make it better? Should we use the new Route 53 Resolver features? 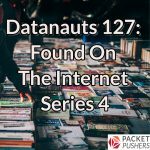 The Datanauts tackles these questions and other cloud DNS issues with guest Matt Adorjan. We also explore Matt’s CloudPing utility that measures inter-region latency in AWS. 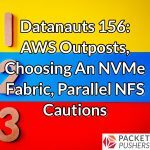 Today’s Datanauts explores three different topics in one show: we dive into AWS Outposts with Ned Bellavance, NVMe fabrics with Howard Marks, and parallel NFS with Chris Wahl. It’s a triple play episode! 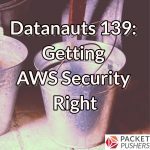 Today the Datanauts explore how to lock down AWS services to ensure they aren’t publicly exposed–and it’s not just S3 buckets. Our guest is Scott Piper, who’ll share tips and open-source tools. 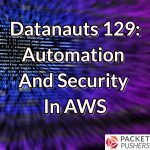 The Datanauts parse the meanings of automation, infrastructure as code, and DevOps; explore new AWS services; and talk security best practices on today’s cloudy episode. Our guest in Ken Hui. VMware Cloud on AWS lets you run a native VMware environment on bare metal AWS servers. 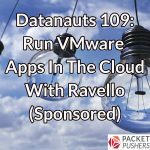 The Datanauts delve into service details, use cases, and nerd knob options with episode sponsor VMware. 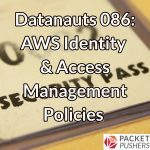 Today’s Datanauts episode explores how to set up Identity and Access Management (IAM) policies in AWS. Our guest is Cole Morrison. 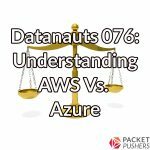 The Datanauts talk with Eric Shanks about the differences between AWS and Azure, how organizations choose a public cloud provider, the reasons application architecture are so critical, and how to deal with worries about cloud lock-in. 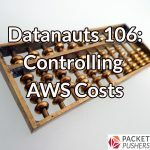 The Datanauts and guest Alex Galbraith examine the gotchas of storage, networking, and scaling in AWS so you can get the best design for the least amount of money. Looking to elevate your skills from on-prem hardware monkey to cloudy diva? 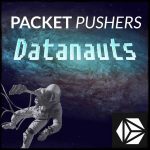 In this Datanauts episode, we explore one person’s career path from tech support to cloud architect, and get his opinions on key cloud tools and issues. Just because your application is in the cloud doesn’t mean you can forget about resiliency. 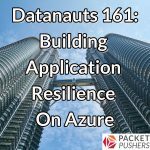 On today’s Datanauts episode, guest Tom Vachon shares insights and tips on how to design a resilient infrastructure in Azure. We discuss availability zones, availability sets, paired regions, and more, as well as how to balance cost against resilience, and the role of DNS. How mature are APIs, toolsets, and other components of AWS and Azure? 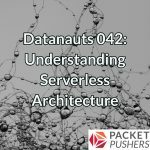 Cloud architect Alex Neihaus joins the Datanauts to discuss this question. We also explore public cloud migration, and Alex argues that organizations shouldn’t get hung up on tools and focus on process instead. 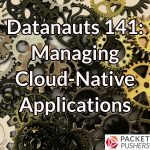 Today’s Datanauts podcast looks at Day 2 cloud issues including operations, training, understanding and managing costs, and of course, security. Our guest is Maish Saidel-Keesing. 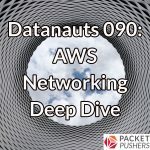 Today on the Datanauts podcast, sponsor Big Switch talks about its cloud-first networking initiative and new products that aim to make your public and private clouds operationally consistent. 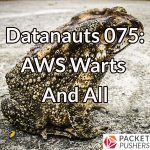 The Datanauts crack open our cabinet of curiosities to explore a variety of ideas found on the Internet including SREs, AWS vs. Amazon for a cloud career, the ups and downs of industry certifications & more. The term ‘Machine Learning’ is being sprinkled over IT marketing materials like magic dust. 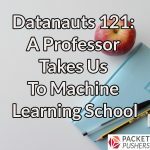 The Datanauts get to what’s real in ML with guest Vivian Zhang. 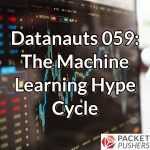 The Datanauts dive into machine learning–how does it work, what will it do for us, and what are common use cases–with guest Ed Henry, Senior Machine Learning Engineer at Brocade. 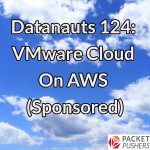 Today’s Datanauts episode, recorded live at VMworld, looks at emerging technologies in the data center & their implications for professional development and career advancement.